We inform you that we can provide you with the most reliable flexitank service. 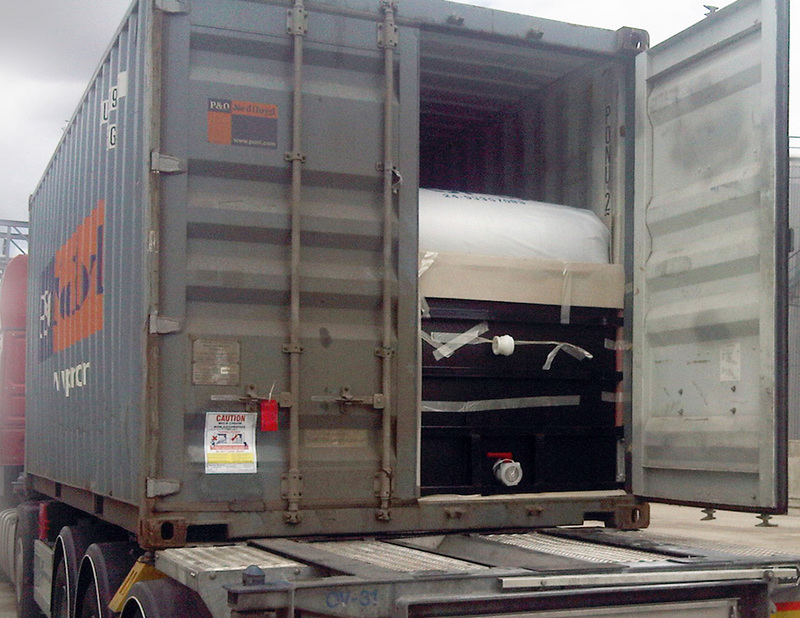 In a few minutes, the flexitank equipment can transform a 20” container into a tank. Each flexitank, depending on its properties, can be loaded with bulk liquid cargos, either foodstuff or chemicals (Non-IMO Class). This is a most innovative and cost-effective way of transforming a 20″ container into a tank. What quantity can be loaded in one flexitank? Depending on the size of the flexitank, from 16,000 up to 24,000 liters. Please, feel free to contact us. We will be happy to visit you and provide you with all the details. Products you can load into a Flexitank. Wine, Palm Oils, Fish Oils, Corn Syrup, Tallow, Fruit Juices, Mineral Water, Vegetable Oils, Concentrates, Glucose, Fruit Juices Base Oils , White Oils , Transformer Oils, Paraffin Wax, Printing Inks, Emulsions, Fertilizers, Synthetic Latex, Drilling Mud Additives, Lubricants, Lube Oils Additives, Paints, Glycerin, U.C.Os. Flexitanks beside their high functionality and efficiency, offer multiple benefits. A fairly significant benefit is the protection of the environment and compliance with laws on environmental protection. The maximum security which the Flexitank provides (when it is used by experienced operators and experts) and the integrated management of transport volume, which as experts we are able to offer to our customers, protect the environment and comply with local laws. Under Greek law – l.2939/01 – each importer is required to manage the packaging of goods received in order not to pollute the environment or to minimize the pollution caused by this packaging. NEST examining closely the needs of its clientele, takes care of its clientele, applying the relevant applicable law in all import/export cases. NEST is sensitive to issues of environmental management. In each import-export action that we undertake, we propose the activation of procedures and instruments to minimize pollution. The use of flexitanks reduces the need for other means of transport, thus saving resources and reducing pollution.